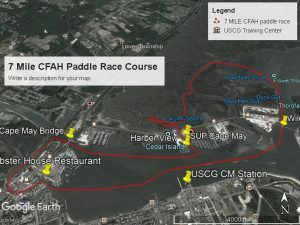 All of our SUP Cape May events in one glorious place! 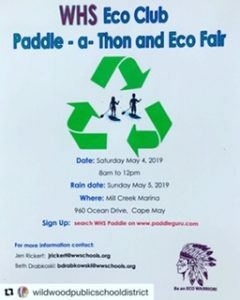 We will be hosting a Paddle a Thon for Wildwood High School’s ECO Club to raise money for them to help the school become more green. Sign up on paddleguru.com to register your board size and shirt size. All participants will receive food and a t shirt for their contribution. Come paddle with some students from WHS. Reserve a board if you need one. Bring any paddle craft you wish if you have one. Bring any paddle craft you have. 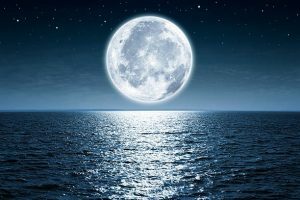 Bring any paddle craft if you have one. This is our 3rd annual paddle race to benefit a local organization, Children’s Fresh Air Home, to help bring children facing adversity in their homes and community to Wildwood beach for a summer retreat they may never get. Sign up at paddle guru.com. There is also a fun paddle that takes place after the racers take off. Spectators welcome to come watch these racers give it their all at the start and finish line. Fundraiser immediately follows at The Harbor View Restaurant Deck.